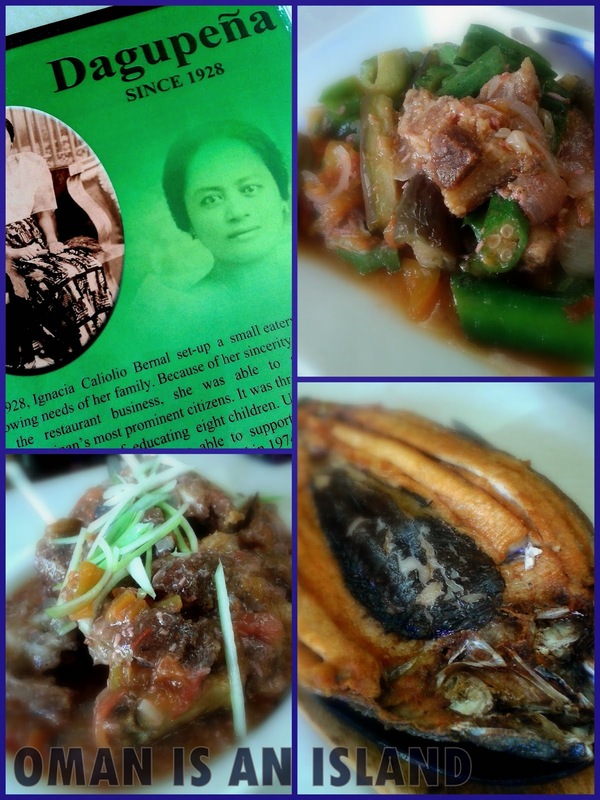 Their Bangus Steak and Binagoongan Crispty Pata are the talk-of-the-town and considered by many as "must-try" so that it what we ordered together with one of my favorite dish - Pinakbet. I know, it's too much food for two but we couldn't pass the idea of having a meat-vegetable-fish combo, and it's already past noon because of the extended trip due to road repairs, so what a better time to indulge. Growing up in the neighboring province of Nueva Ecija, I remember to have come to this very restaurant few times in the past whenever we head to Baguio or some place North. I remember that dining in Dagupeña is just like visiting my grandmother's house after such a long time away from home. The dining area is small but cozy and the food is always just how you remembered it the last time you were there - Lutong Bahay at it's finest. Dagupan is famous for its tasty milkfish so you can see that everyone is ordering their Bangus Steak. Then, their deep fried crispy pork knuckle smothered with a very light sauce made from shrimp paste also known as Binagoongang Crispy Pata is just oh so heavenly. We tried finishing the entire dish but we could only muster half of it. A total bill of a little less than one thousand for the best tasting and tummy-filling meal is definitely worth it. So, whenever you pass by Dagupan, check this place out. Looks delicious to me!! Hope you have a great and delicious weekend, Oman! Enjoy!! i remember that my mother would not buy any bangus unless it's from dagupan. my uncle lived there until he died and he would bring us talaba when he visits. the binagoongang crispy pata looks sinfully delicious. hi panyero, dalawa lang kami kaya less than 1 thou lang, pero parang mas masarap yata yung lechon belly mo from cebu ah haha.